What genes the puppy has and how will they affect future behaviour? 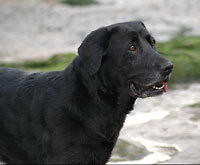 Many behaviour problems stem from families acquiring dogs with genetic predispositions that do not suit their lifestyle. It is easier all round if you choose a puppy that fits in easily with the family and has a genetic make-up that makes it a good pet dog for your situation. People soon realised that they could affect the body shape and characteristics of dogs by selecting which dogs were bred with each other. Since there were a variety of jobs that dogs could do to help people survive and prosper, dogs of different shapes and sizes were bred for different useful activities. For example, large dogs with thick coats were bred to help fishermen in Newfoundland haul in nets and retrieve fish, elegant dogs with spotty coats were bred to run alongside carriages of the rich, small active dogs were bred to catch and kill vermin. Since many dogs were bred for similar functions in different parts of the world, we have ended up with many different breeds, some of which were bred to do similar, but slightly different jobs. Although many of our current dogs are now bred with the aim of winning prizes for physical attributes in the show ring, most have retained the temperament traits of their ancestors. As a result, it is very important to look at the personality of the breeds you are interested in, and to find out what they were originally bred to do so that you can get a clear picture of the inherited desires that you may be acquiring. When looking at the job your chosen breed once did, try to think of the benefits those strong inherited traits may bring to your home life and also of the problems they may cause. Will it be acceptable if your hound takes off after a deer you see while on a walk and doesn’t come home for hours? Is it okay if your Newfoundland regularly plunges into your pond in the garden or the fountain in the park? Will it be a problem if your Dutch barge dog is such a good watch dog that the neighbours in the other half of your semi-detached house complain? Or if your collie chases the children that come to visit? Dogs can be trained not to do things, but it is a lot easier if there are no strong unsuitable temperament traits and desires to battle against in the first place. Find out about the temperament traits you will be acquiring and ask yourself if you will be able to provide acceptable alternatives to these behaviours so that your dog will be content. Gundogs were bred to help people hunt by flushing game, pointing to game so it can be shot, and retrieving the animals that are shot. They need to work closely with people and so are usually sociable, willing to please and easy to train. They often have a soft bite so they do not damage the game they retrieve, and their desire to use their mouths can make them great chewers when growing up. The upside of this is that they also enthusiastic toy players. This makes them more fun to be with, especially for children, and also makes training easier as it gives you something else you can reward them with. They usually enjoy close contact with their humans, but can be boisterous if they do not get enough exercise. Most gundogs have the energy and stamina to keep on the move all day so plenty of exercise is essential. They usually make very good dogs for an active family as they tend to be tolerant and playful with children if raised with them. Hounds were bred to track and hunt prey animals with the hunter on foot, horseback or catching up later while the dog holds the animal at bay. Some hounds are bred to bring down prey and many hounds may not be good with small pets unless they have grown up with them. Hounds often have deep, resounding voices to let the hunter know where they are but they do not usually bark unnecessarily. Hounds are mostly very amiable and easy going. They were not bred to work closely with man so can be independent and disobedient. They are not really interested in toys and can be difficult to train, tending to run off when they see something interesting to chase. Most hounds were bred to live in packs and, as a result, are usually sociable and friendly to humans and other dogs. They don’t mind close physical contact but they are also happy with people who prefer to be less tactile. They are usually happy to relax at home, appearing lazy when there is nothing to do, but they need long, energetic walks to use up their tremendous energy and desire to run. Bred to herd domesticated animals. They are usually hard working and need plenty of exercise for their minds and bodies. Herding breeds are great toy players. Their excellent hearing makes them alert, active watch dogs, but it can also result in noise phobias if they are not accustomed to loud noises early in life. Herding breeds are usually sensitive and quick to react, and can be nervous if not socialised and habituated to enough experiences as puppies. 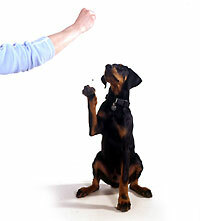 They are usually very responsive to commands once they have learned them and are easily trained. They were bred to work closely with man and prefer to have a close, strong bond with their owner, often enjoying close physical contact with plenty of stroking and fuss. A few breeds prefer a strong bond with one person, sometimes at the expense of others in the household. Some of the larger, more powerful breeds in this group were bred to live with flocks to protect them. 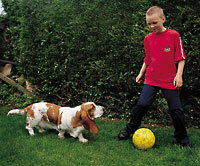 They can have strong guarding instincts and need adequate socialisation to prevent aggression. They tend to be less energetic and reactive than the herding dogs. Bred to catch and kill animals considered to be vermin, or for sport. Most were bred to ‘go to ground’ to dig out animals from their lairs and so are natural diggers. Usually small in height, they tend to have very strong predatory instincts and can be dangerous around small pets unless they have grown up with them and view them as a member of their pack. Most will chase and may injure cats unless they have been raised with them. 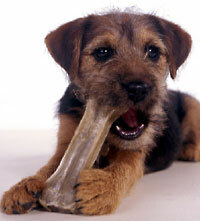 Terriers are usually tenacious, rough players with a hard bite, but with small mouths. They often have strong characters and a busy, excitable nature which can be very charismatic. They are easily alerted and can make very good watch dogs, although for some owners, their inclination to bark can be annoying. They are feisty and quick tempered and tend to be aggressive first and think later if something upsets them. Aggression to other dogs is a common trait among terrier breeds. They can also be stubborn and unwilling to respond to commands unless there is something in it for them but they are usually affectionate and outgoing. Bred to be companions. 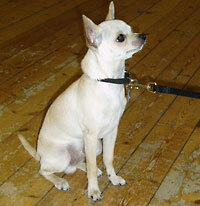 Usually small in height, most make excellent pet dogs as the working traits have mostly been bred out of them. Consequently, they are usually very agreeable, mild-mannered and enjoy companionship. They are willing to please but may not be as quick to learn or responsive as the working dogs. They are usually very keen on close contact with their owners and enjoy plenty of fuss and attention. This makes them a good choice for novice owners. Their small height makes them ideal for owners without much space, but renders them prone to health problems so check carefully before buying to reduce the risk of inherited diseases. Once you have settled on a few breeds you are interested in, the next step is to find out more. Do this by looking on the internet, asking people who own and live with dogs of your chosen breed, and by attending dog shows. The big dog shows will be advertised by the Kennel Club, in the dog breed press, and on the internet or ask any large breeder for details. At shows, you will be able to meet breeders as well as people who show their dog but also keep it as a pet. Usually people are very willing to talk about their breed and its characteristics, although it may be best to avoid talking to them just before it is their turn in the ring. It is a good idea to ask about the downsides of owning the breed and any problems they may have had as well as finding out about all the benefits. Also, don't forget about mongrels or crossbreeds. These usually have a mixture of characteristics and may be a good alternative to pedigree dogs with their attendant strong traits and inherited diseases. This is an extract from ‘Choosing the Right Dog for You’ by Gwen Bailey. The book will help you assess your lifestyle and find a breed to suit your circumstances. It will help you decide whether a puppy or adult may suit you, and the important questions to ask when looking for a creditable breeder or rescue centre. 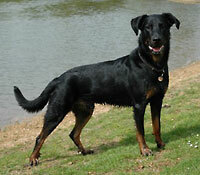 The book provides details of over 200 of the most common breeds.